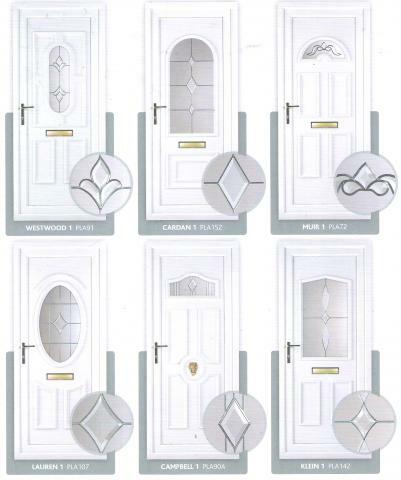 THIS PAGE CONTAINS CURRENT SPECIAL OFFER ON UPVC DOORS. THE ABOVE DOORS ARE AVAILABLE WITH CLEAR OR OBSCURE GLAZING,MULTI LOCKING FITTED TO YOUR HOME FROM JUST £810. THE DOORS TO THE RIGHT ARE AVAILABLE WITH FEATURE GLASS AS SHOWN AGAIN MULTI LOCKING FITTED TO YOUR HOME FROM JUST £970. To the left is the choice of glass available. On the £810 range you can have any of these or just clear glass. 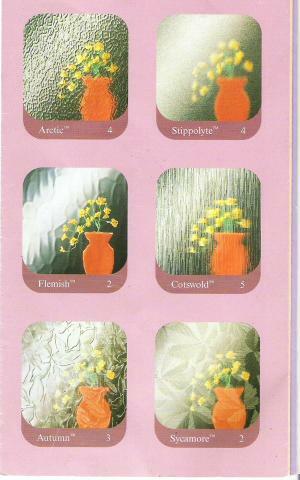 On the £970 range you can have any of these as your backing glass(to go behind design) or again just clear glass. 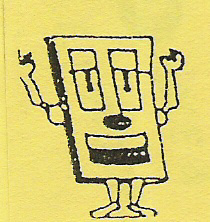 We do stress these are not cheap budget super store doors. You pay for what you get! Included in the prices is fitting which involves pulling out all your old frame which is not an easy task, have a look now at your existing frame. 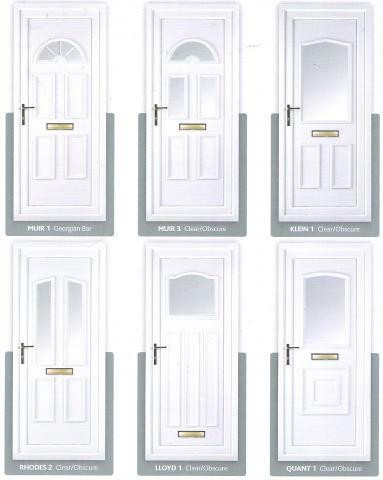 Quality white upvc as above with glass in top,clear or obscure ,suitable as a back door or front door from £788 including fitting. Comes with yale multi lock NOT like the cheap versions you find in superstores.